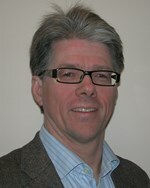 Simonsen, Lasse (2008). Case studies for Norway, In John Cartwright & Martinj Hesselink (ed. ), Precontractual Liability in European Private Law. Cambridge University Press. ISBN 978-0-521-51601-3. Case Studies. Simonsen, Lasse (2005). The Comomon Core of European Private Law, In Ruth Sefton-Green (ed. ), The Common Core of European Private Law. Mistake, Fraud and Duties to inform in European Contract Law. Cambridge University Press. ISBN 0521844231. Mistake, Fraud and Duties to inform in European Contract Law..
Simonsen, Lasse (2019). Prisavslag og erstatning for mangler ved fast eiendom. Gyldendal Norsk Forlag A/S. ISBN 9788205521056. 150 s.
Barbo, Jan Einar & Simonsen, Lasse (red.) (2010). På rett grunn : festskrift til Norsk forening for bygge- og entrepriserett. Gyldendal Akademisk. ISBN 978-82-05-40067-2. 489 s.
Simonsen, Lasse (2005). The Common Core of European Private Law. Mistake, Fraud and Duties to inform in European Contract Law. The case studies have been prepared: for Norway by Lasse Simonsen, University of Oslo. Cambridge University Press. ISBN 0521844231. 414 s.
Simonsen, Lasse (2005). http://www.easyfind.no Rettskildeverktøy for jurister.Offenlige anskaffelser. Simonsen, Lasse (2003). Mangelbegrepet ved avhending av fast eiendom.